7/5 – This Past Storm Available Now! 2/15 – New Merch On Tour & More! On Saturday, Eddie will begin his run supporting Lee Ann Womack on her All The Trouble Tour! Be sure to stop by the merch table at the show to check out new items, including a brand new T-shirt and copies of Before The Bridge on vinyl. Don’t have tickets to see Eddie on tour yet? Get them HERE! We’re excited to announce that Eddie will be kicking off the new year supporting Lee Ann Womack on the western leg of her All The Trouble tour. 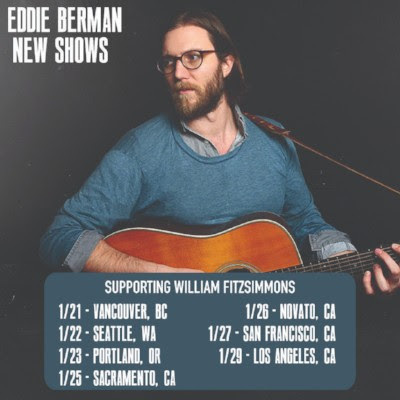 Eddie will be heading up the west coast in late February and early March. See below for the full list of tour dates! Tickets are on sale for most of the dates, so be sure to get yours now. We’re thrilled to announce that Eddie Berman will be going on a mini-tour of the east coast in November! Join Eddie as he plays songs off of his new album for you. Be sure to get your tickets NOW and help us spread the word! After weeks of covers, Facebook Live streams, and a short tour, today is the day we’ve all been waiting for! 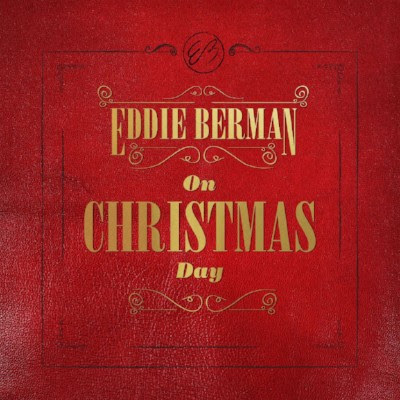 Eddie Berman’s album Before the Bridge is now available for download and streaming. Get your copy HERE. 7/11/17 – Lots of Eddie Berman News! This week, Eddie has released two alternate takes on his single “Easy Rider” — his original acoustic demo, as well as a clawhammer banjo version. “Easy Rider” will appear on Eddie’s forthcoming album, Before the Bridge, which will be released on September 1st, 2017, and will be his debut with Nettwerk Records. You can now buy/stream the new acoustic versions from your favorite outlet HERE.